Instead of £3,490.00. You save £174.50 due to the online discount . 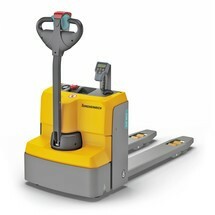 The Jungheinrich AMW 22p weighing scale pallet truck with premium display is a professional weighing system of the highest calibre, offering a multitude of intelligent weighing functions. 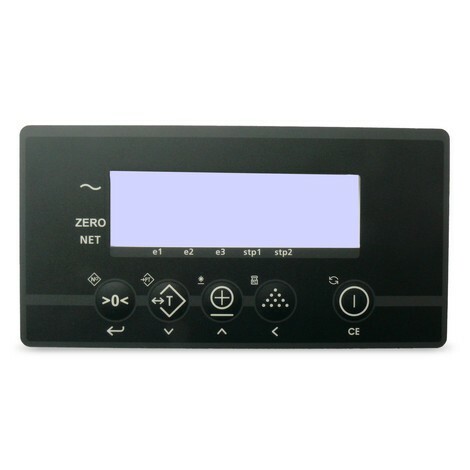 In addition to the functions of the comfort display, the AMW 22p also features, among other things, piece counting and labelling of weighing operations with a five-digit code for subsequent combined printout. You also benefit from all the features of the classic AM 22 with 2,200 kg capacity and quick lift (up to 120 kg). 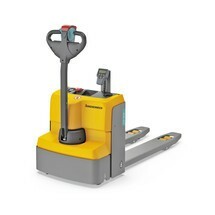 The Jungheinrich AMW 22p weighing scale pallet truck provides you with a professional weighing system suitable for all manner of applications thanks to a multitude of intelligent weighing functions. With its convenient multi-range display, outstanding weighing accuracy (min. 99.9% of the measured weight), wide range of special equipment and sophisticated battery change module with discharge indicator, the AMW 22p is a device of the highest calibre. The weighing cells are positioned at the four end points of the forks to ensure highly accurate weight measurement – even on inclines of up to 2 degrees. As well as all functions of the comfort display, the AMW 22p also offers piece counting and an illuminated display for excellent contrast with zero glare. 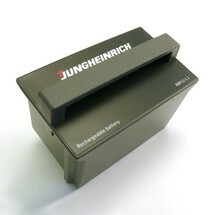 Weighing operations can be labelled with five-digit codes and then combined for subsequent printing. 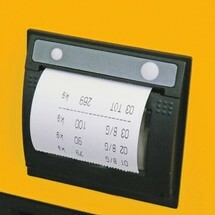 A compatible thermal printer for this truck is also available from our shop. The plug-in battery change module (12 V / 1.2 Ah) with charger can be easily recharged at any 230 V socket. The battery life is approx. 60 hours. Thanks to the battery discharge indicator, you can always keep an eye on the remaining charge. The scales switch off automatically when not used for 30 minutes. The electronics and display feature IP 65 protection against moisture and dust. You benefit from all the features of the classic AM 22. 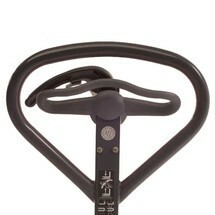 This includes the ergonomic control element, which is equally well suited to both left and right-handed operators. The special lowering valve allows sensitive loads to be set down with utmost control and precision. 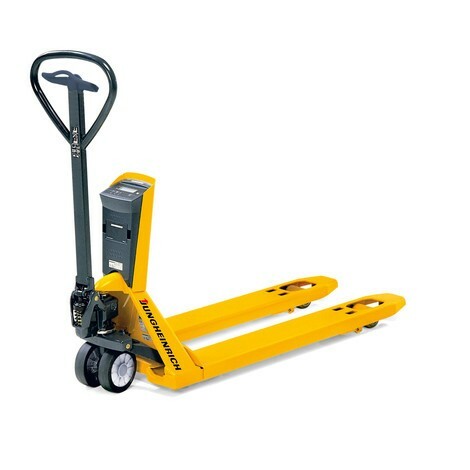 Thanks to the standard quick lift function (up to 120 kg), Euro pallets can be lifted clear of the ground with just three pump strokes. The maximum lift height is reached after five strokes. This saves you both time and energy. 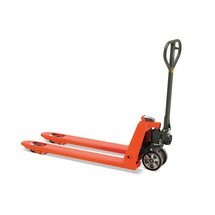 The AMW 22p weighing scale pallet truck with premium display is equipped with solid rubber steering castors and polyurethane fork rollers. 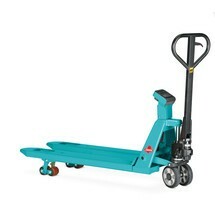 You can choose between single or tandem fork rollers. Information about all optional equipment is provided in our shop. We are always happy to help! Please note that calibration at a later date is not possible. 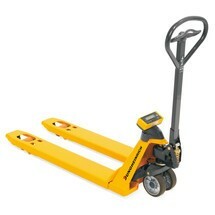 Order the weighing scale pallet truck for the most exacting demands from our shop in your chosen configuration.